Dr. Jennie DiGrado is an Assistant Professor for the Master of Occupational Therapy program at the University of St. Augustine San Marcos Campus. 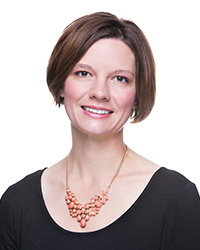 She received her bachelors in Occupational Therapy from Colorado State University and her doctorate in Occupational Therapy from Creighton University. She has worked clinically in a variety of settings which include, inpatient rehabilitation facilities, outpatient, skilled nursing facilities and home health care. Most of her clinical practice has been focused on serving individuals throughout the lifespan with neurological impairments resulting in occupational performance concerns.